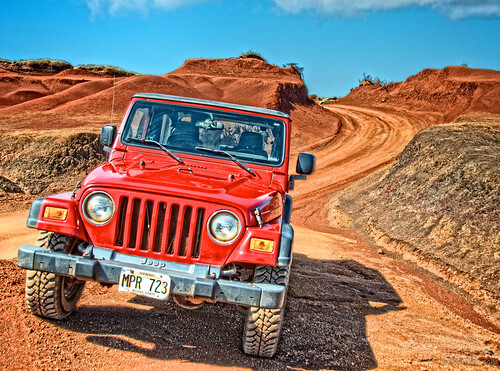 Taking your vehicle offroad can be a very exciting and rewarding experience. Driving off the pavement with your 4×4 can open a whole new window of opportunities including seeing beautiful scenery, accessing remote fishing spots, experiencing some epic rock crawling or camping in the backcountry. However if you’re not properly prepared for the adventure that lies ahead, your offroad experience can easily hit a nasty bump in the road – pun intended. The first item to check off on your 4×4 preparation is to visit your local offroad shop for a full 4×4 service. Talk to the 4×4 mechanic on duty and inform him/her of where you are planning on going and what the terrain is like so they can use their best judgment in determining what needs extra attention on your vehicle. If you plan on doing the service and inspection yourself, make sure to check the following: loose parts including nuts and bolts, fuel lines, tire pressure, spark plugs, all fluids including transmission fluid, power steering fluid, motor oil, differential fluid, clutch fluid and coolant, all belts and hoses, suspension and any aftermarket parts you may have. Do not go blindly on the trail; make sure everything is working properly and if anything needs to be replaced or fixed, take care of it! Spare tire: It’s extremely important to have a spare, full-size tire. Flats are a common occurrence when taking your vehicle offroad. It also wouldn’t hurt to bring a tire repair kit. Extra gas: If you run out, there likely won’t be any gas stations in the wilderness! Fire extinguisher: In case something bad happens. Tools: Full set of tools including socket wrenches, pliers, cutters, jacks and spare bolts, screws, duct tape, lubricant, gloves and other essential parts. Winch, tow hook and a tow strap: In case you get stuck! Extra spark plugs, oil and coolant: Stuff can go wrong, leaks can occur so it’s always important to top off any fluids. -Map out your course before you get on the trail and devise a plan B if something goes wrong or a particular trail is closed. -Always try to offroad with another vehicle. If one gets stuck or stranded, it can be a life-saver to have another vehicle. -Tell a friend or family member where you are going and when you expect to be back. -Always be prepared if something happens to go wrong. -Do your research on the trail before going! This entry was posted in 4X4, Off Roading and tagged 4x4, 4x4 service, aftermarket prats, auto parts, auto repair, offroad on July 2, 2013 by Sean Lara.